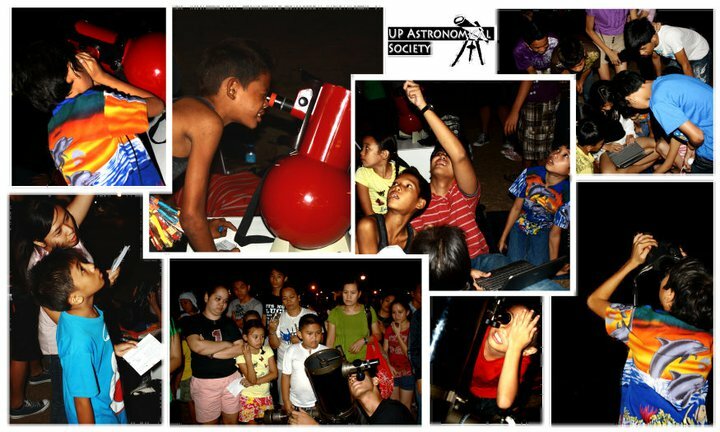 Last February, the Filipino astronomy community celebrated the 18th National Astronomy Week, the theme for which was “Astronomy Transforming the Culture of Learning Toward Nation Building”. 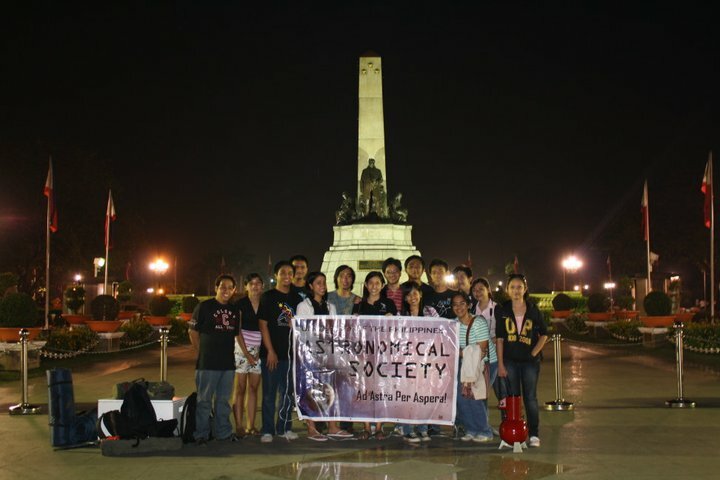 As part of this major celebration, the University of the Philippines Astronomical Society (UP AstroSoc) organized two public observation events based on the concept of ‘Sidewalk Astronomy’ last February 25 at the Quezon Memorial Circle and last February 27 at the Rizal Park. 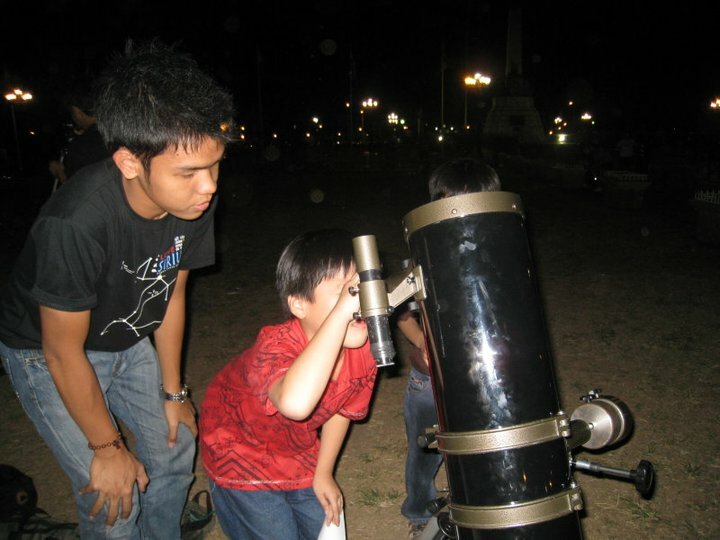 Sidewalk Astronomy refers to the activity of setting up telescopes in an urban setting for a profit or non-profit basis as an entertainment or for public education. 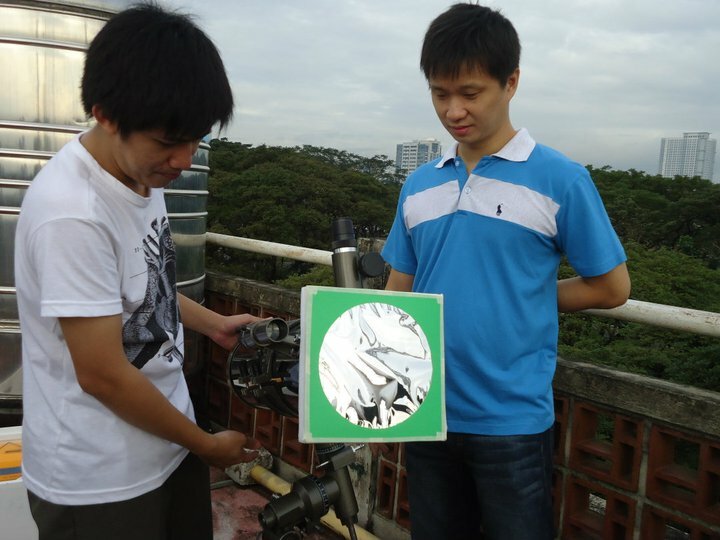 With the coming and growth of organized amateur astronomical groups, sidewalk astronomy has become associated with public education about astronomy via free public viewing for anyone who wishes to look through the telescope. Both events started at 6:00 PM. Even though the sky was a bit cloudy throughout that week and light pollution is a huge concern when observing in urban areas, we were still lucky enough to catch glimpses of the celestial objects like Jupiter, Saturn, bright Sirius, the Pleiades and the Orion Nebula through our telescopes. Unfortunately, the Moon – our favorite viewing target – did not rise until past midnight so we were not able to see it. 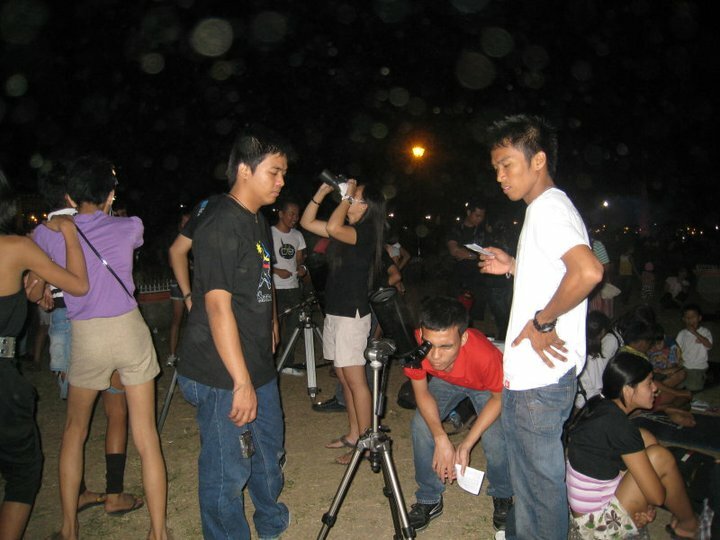 During the last public viewing at the Rizal Park, there were a lot of people who came by to peek through the telescopes. Most of them were families spending time together at the park. 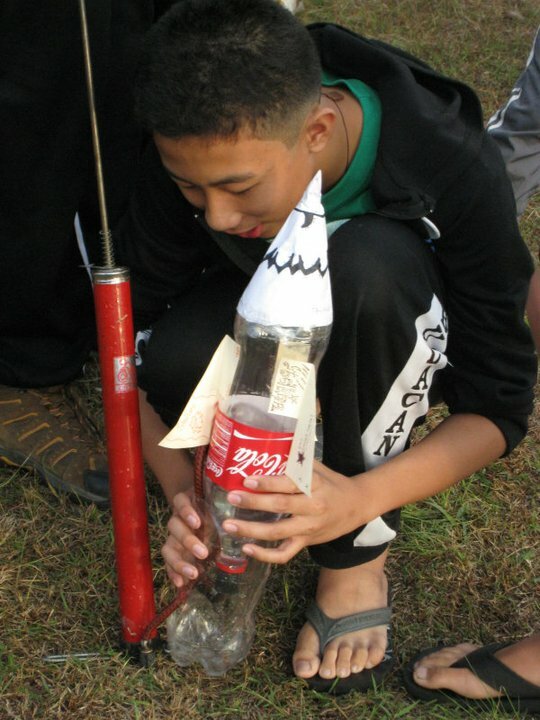 At first, it was a real challenge keeping the crowd – especially the kids – from bumping the telescopes. Everyone was too excited. 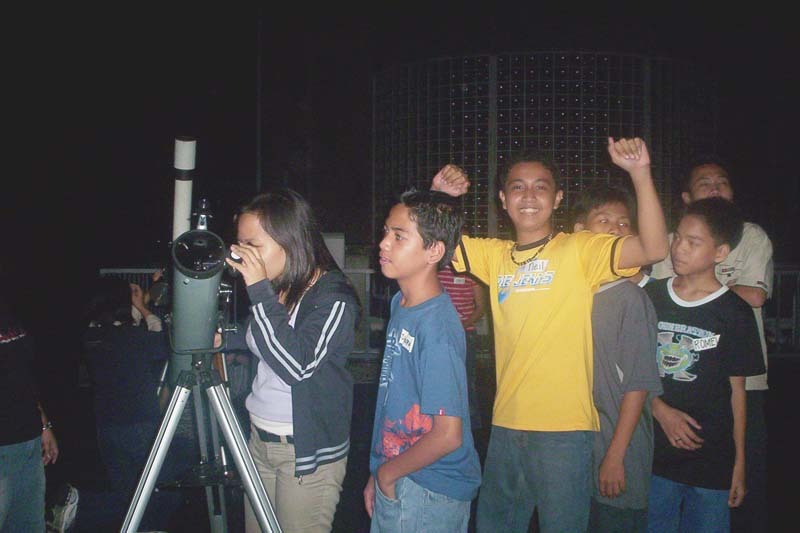 😀 Nonetheless, we soon were able to make the viewing more organized so that everyone had a chance to peek through the telescopes. Some of my fellow orgmates also gave short lectures on skygazing using Stellarium and astronomy books to those waiting in line. It eventually become cloudier as the night went on. As it was already late and there was almost nothing that could be seen above except thick grey clouds, we decided to end the activity at around 11:00 PM. The event was enjoyable! 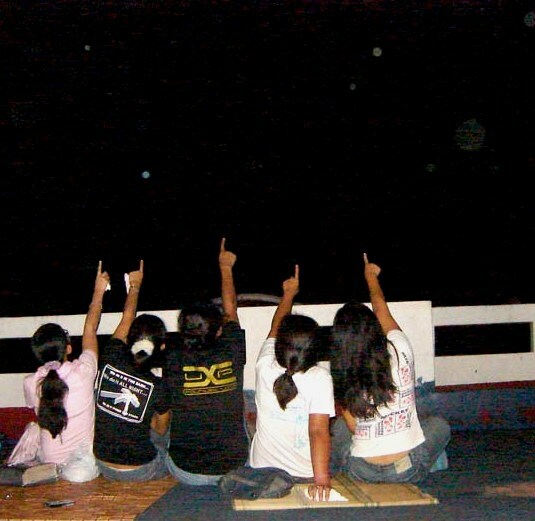 🙂 To us, it was a really memorable way of capping off the celebration of the National Astronomy Week in the Philippines. To my fellow amateur astronomers, I suggest that you try sidewalk astronomy, too. I have found it to be a truly rewarding experience. 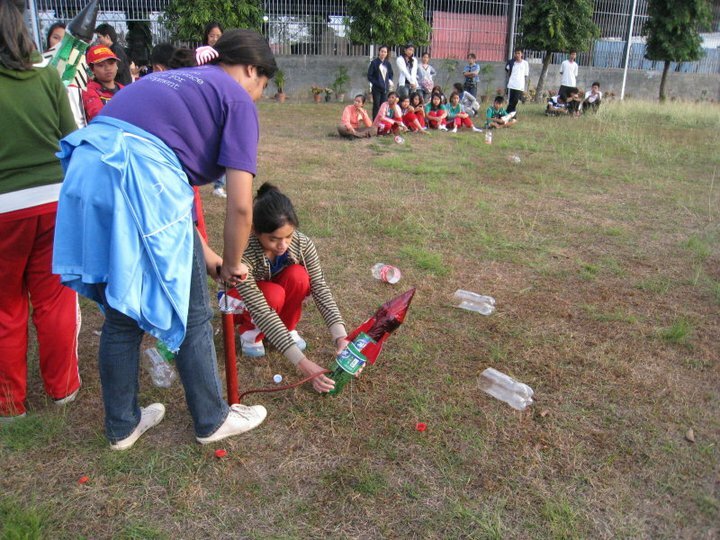 People are very appreciative of the effort that I and my orgmates have given and I also made new friends along the way while having a great time. Thank you to everyone who joined us in this event, especially to RTU Astronomical Society and cheers to those organizations who also held their events for this year’s NAW celebration. May the goal of sharing the night sky to everyone continuously unite us all.